At Whisky Olympus it is getting very exclusive, very rare and truly individual. Welcome! Thomas Ewers and a renowned whisky expert themselves go scouting in Scotland, sometimes in the darkest corners of the warehouses, to find those particular casks which meet their Whisky Olympus standards. It takes a fine nose to find those casks and meticulous tasting to discover astonishing flavours and detect possible off-notes. 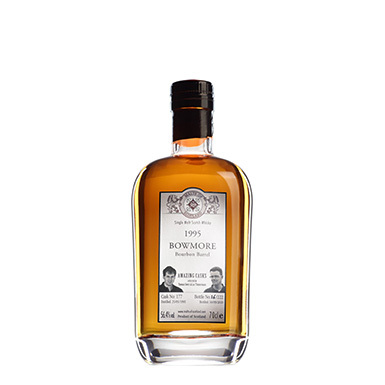 A cask will only be chosen when both experts give it a „Perfect!“ Although „Perfect“ is rather subjective but who would argue with the „Bottler of the year“ when there is a chance to grap one of those rare mini-series bottlings?